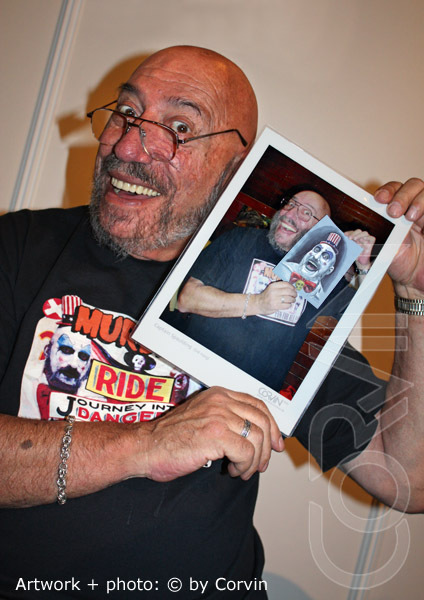 I was happy to meet Sid Haig in 2011 for the second time. 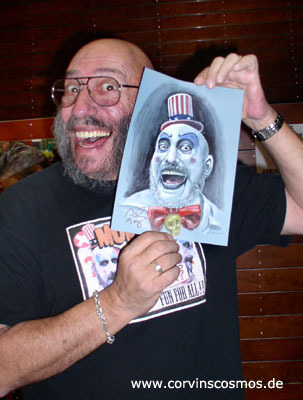 expression: "This is great artwork, man, great artwork!" a painting based on a photo, done in only about 4 hours. because he was compiling a book with original art for the movie. 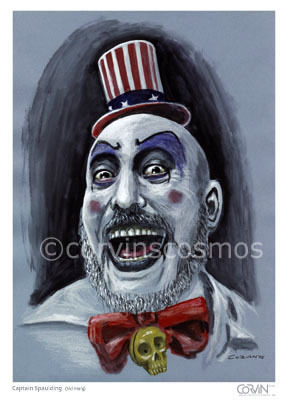 without doubt Captain Spaulding is Sid Haig. This is still my favourite moviestar photo that I ever took. It even made it into my printed flyer of 2011.